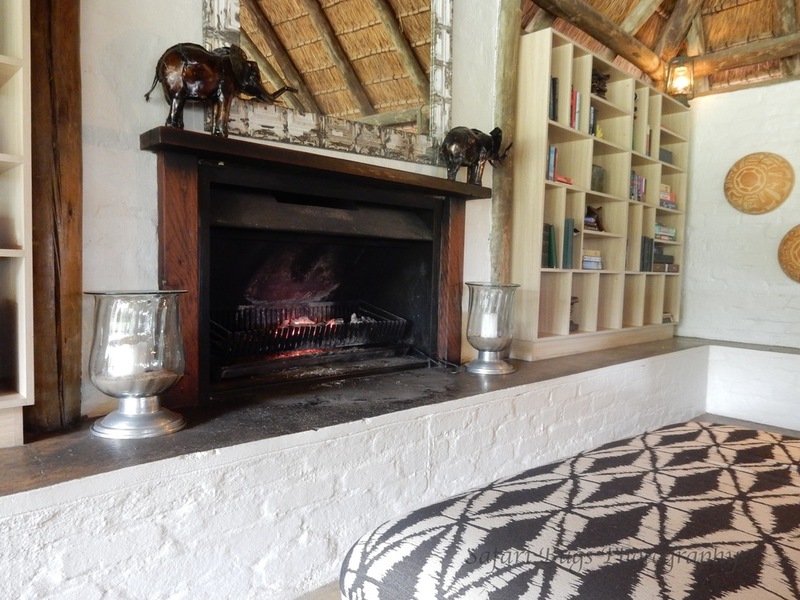 When we think of safari in South Africa, we think luxury, usually with accommodations rivaling those found in five-star city hotels. Of course, we love that level of luxury. But, one of the things we love about safari is sleeping in the bush, hearing the sounds of the night and feeling the winds of the change of weather. Some of that luxury can buffer out the elements. 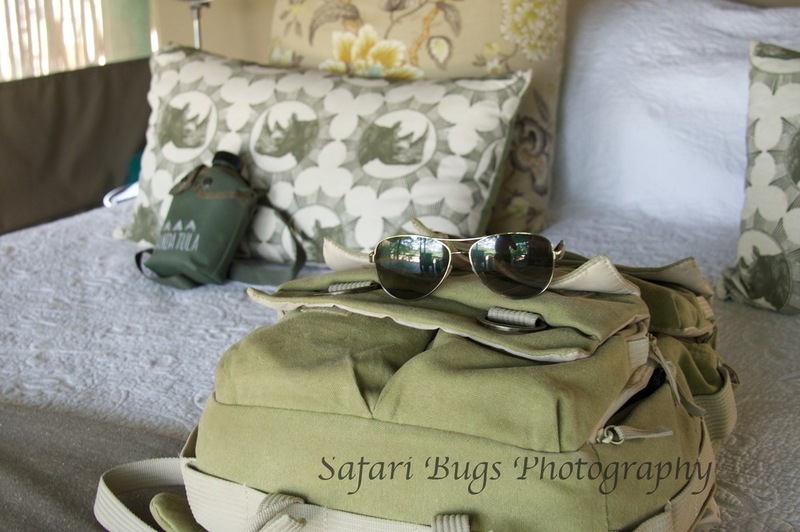 Tanda Tula's rooms though are tented, the standard on safari in Botswana, but a rarity in South Africa. The word "tented" may bring to mind sleeping in a tent on the ground in a sleeping bag. But, these tents are far from that. They are full with luxurious touches along with a standard bathroom and shower. And, those tent flaps allow you to hear the soft calling of the leopard, the cry of the hyena, and roar of the lion. Unfortunately, most of our photos of our tent were subject to a horrid accident and no longer exist, but we did get a very important photo of the tent's bar. Check out that bar in the background. 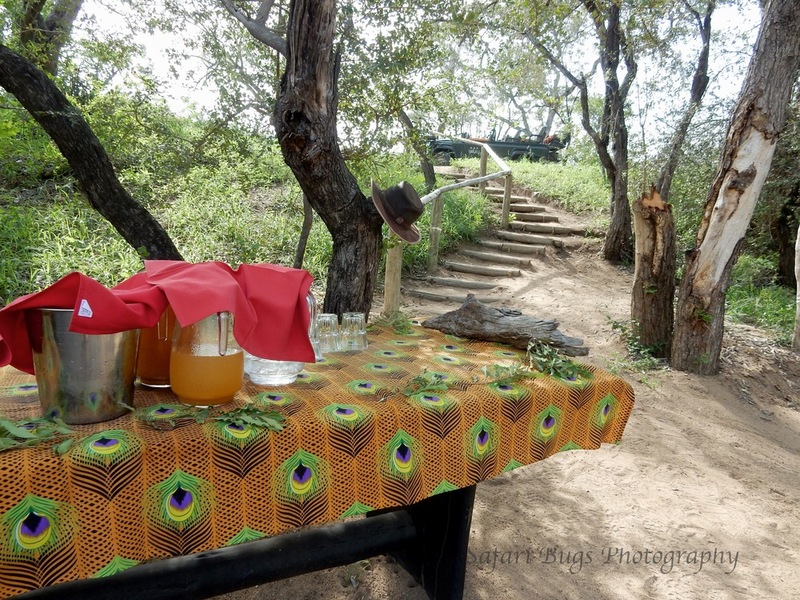 Though it's easy to spend all of your downtime in your tent or on your deck, the grounds of Tanda Tula provide a number of enticing places for you to relax--by the pool, by the fire, on the secluded viewing deck or on the main deck overlooking the river bed. 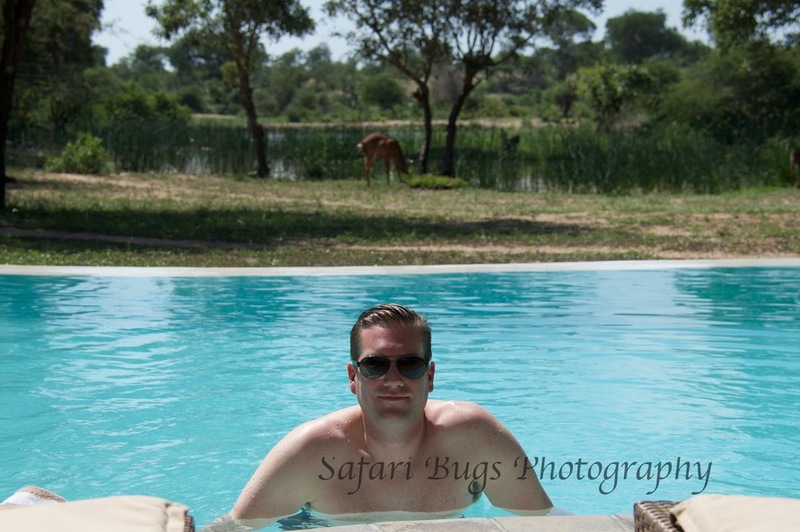 The pool is particularly refreshing and relaxing, providing an up-close view of the nyalas grazing on the lodge's grass. 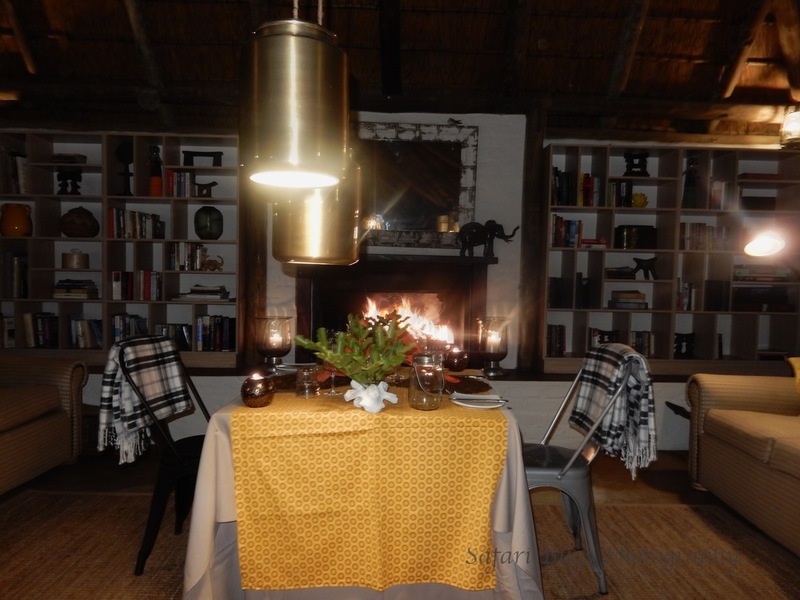 And, if you find that you just couldn't leave your tent, the lodge staff will make sure you see the grounds as they move dinner around the lodge by the pool, by the fire, and in the boma. 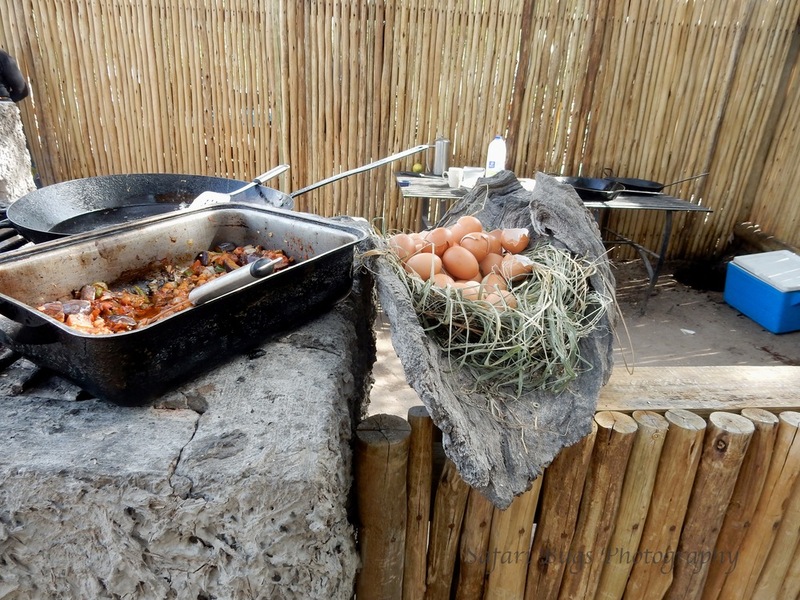 We've spoken about how we love breakfast on safari more than once; there's nothing like bacon cooked on a grill after three to five hours driving around the bush. 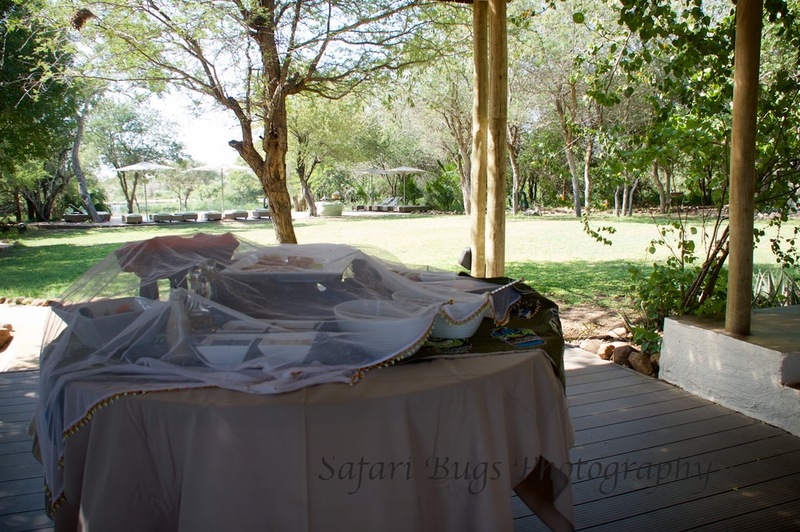 Tanda Tula does bush breakfast just right. Each morning drive ends not at the lodge but by the grill and a breakfast buffet by the dry river bed where you can eat as much bacon as you want, or I guess, fruit or something if you don't like bacon . . .
What do you mean there's no more bacon? 4. 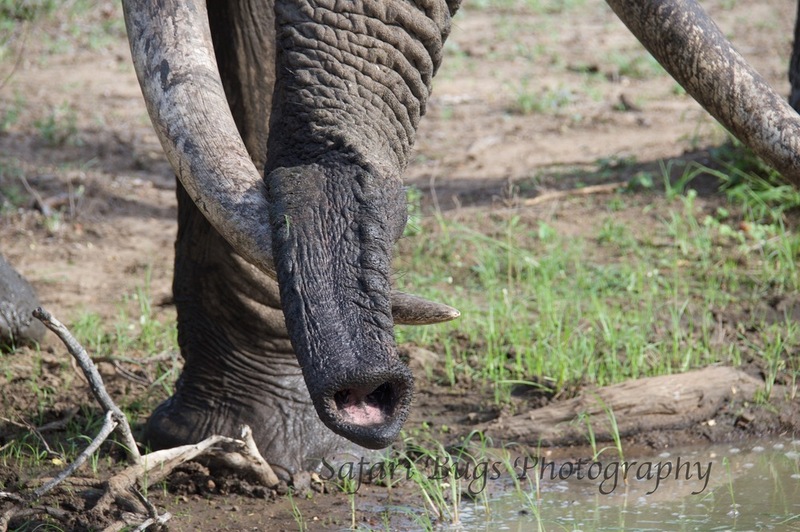 The Big Five Experience, Plus! 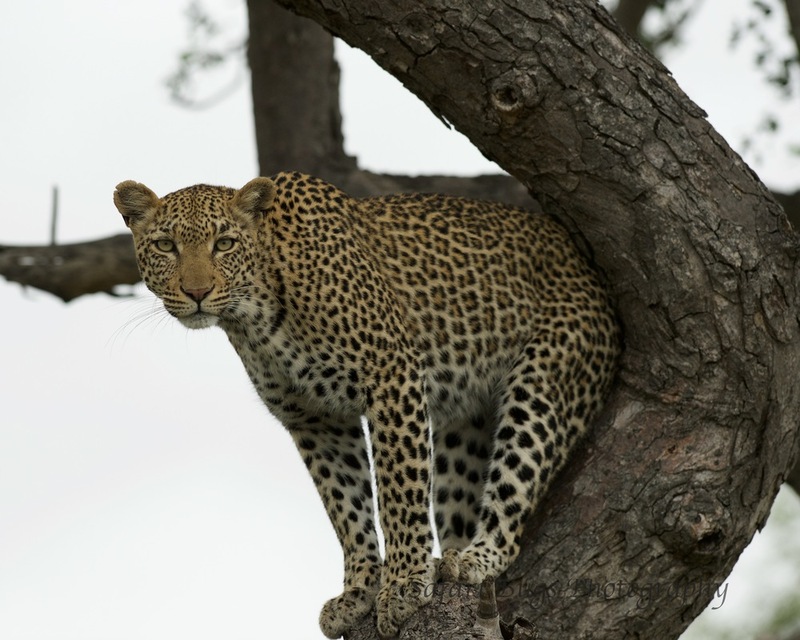 Now, for why you really want to go on safari at Tanda Tula, the wildlife and the knowledgable rangers. 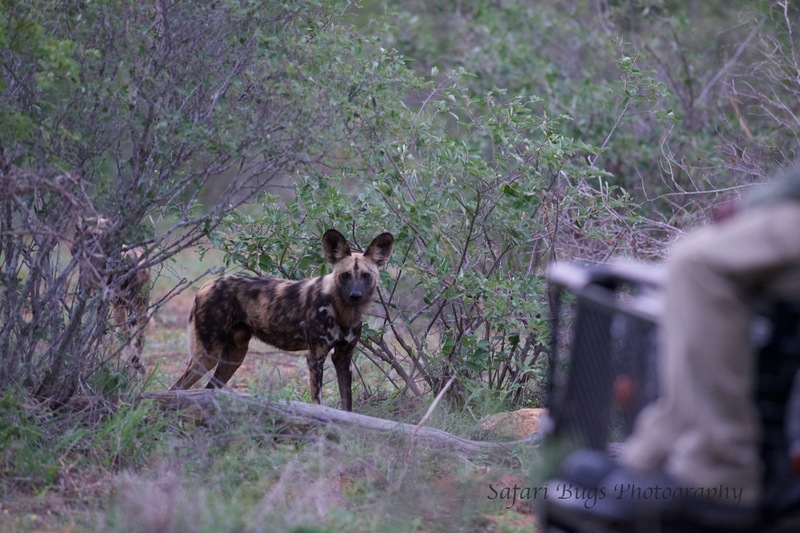 The Timbavati is a great place to see the big five and each time we have been there, we have also been lucky to see wild dogs. The Timbavati area does not disappoint! 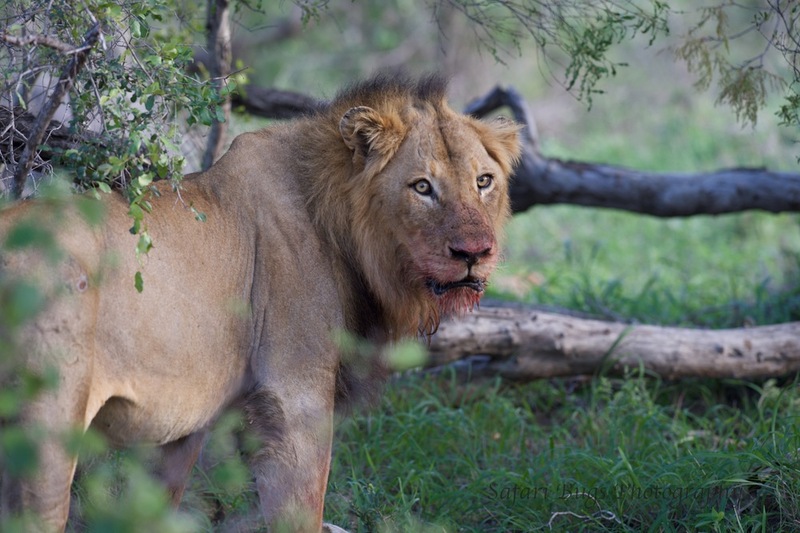 The Timbavati is well known for its white lions, but that does not make it necessarily easier to see this rare lion on a visit to the Timbavati. Having been to the area twice before without seeing a white lion, the thought of seeing one did not cross our minds. Admittedly, we may have even begun to doubt they existed--white lion, the mythical creature. Well, the myth is real. And, not only did we see one white lioness, we saw two on two occasions. 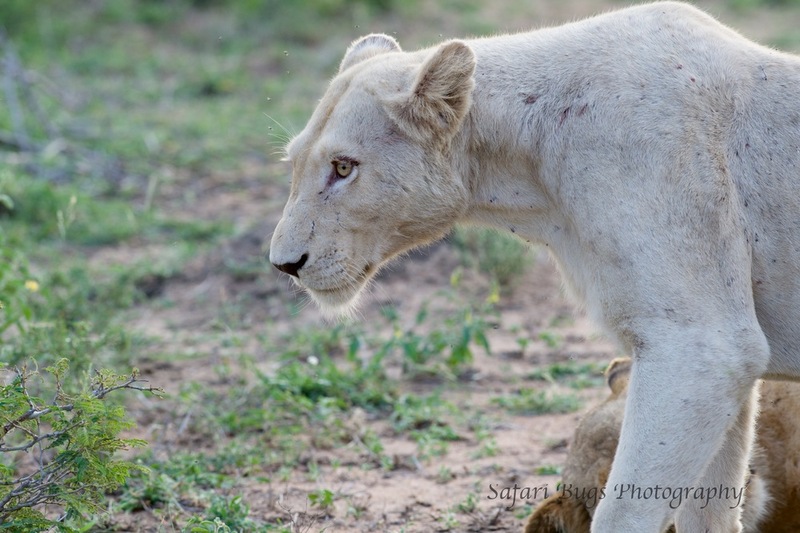 We won't bore you with science, but white lions are not albinos, but rather the white color is due to a genetic rarity found in the Timbavati/Kruger Park area. 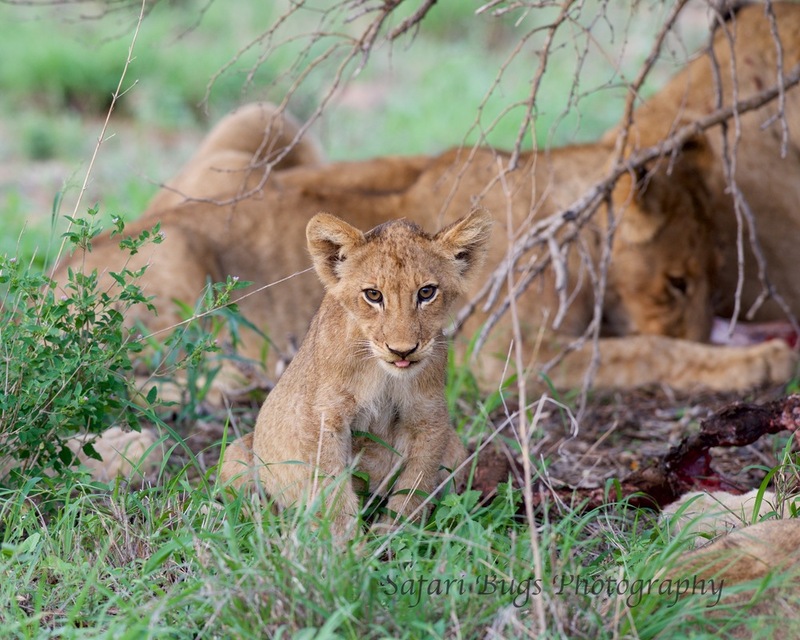 What made our sighting particularly special was that the male tawny lion was mating with one of the white lionesses. 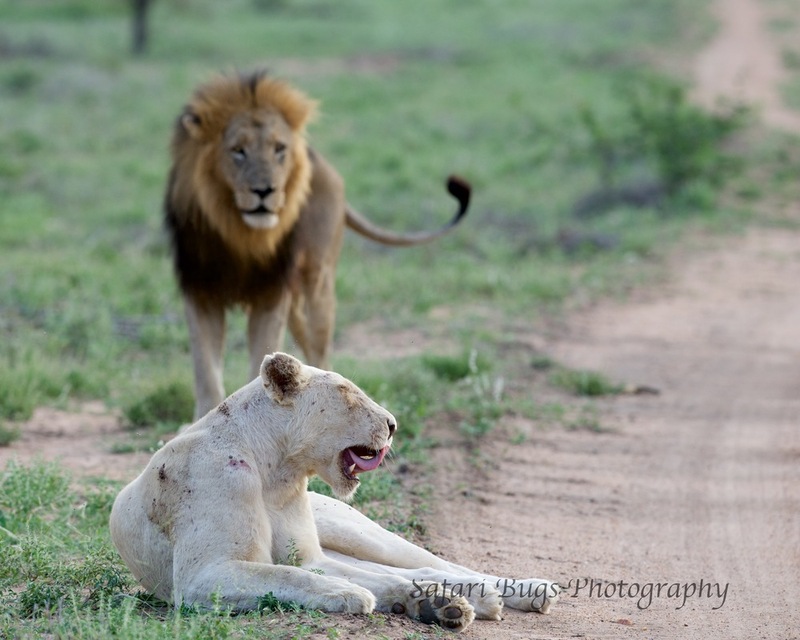 And, a sighting that even baffled the rangers was the second white lioness play-acting mating with the tawny lioness to show the male that he should mate with her as well, and in case he forgot how, she gave him a visual (the last photo in the below sequence). We caught a bit of video on the GoPro of the tawny male lion and the white lioness mating. Turn up the sound to hear the lion give a nice, deep, throaty growl. 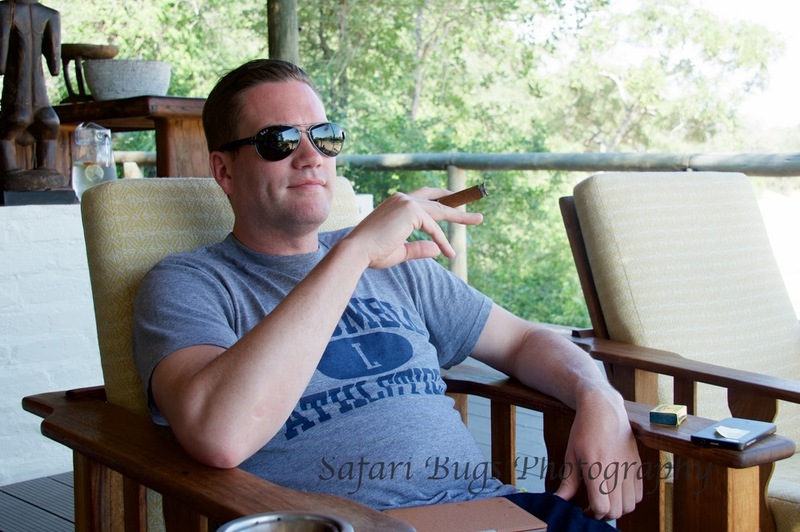 Karen Blixen (Out of Africa) said it right: “If there were one more thing I could do, it would be to go on safari once again.” And, we would not be disappointed if that safari was at Tanda Tula. *P.S. The trip to Tanda Tula was planned by our wonderful travel agent, Jeanie Fundora at Travel Beyond. Jeanie has been planning trips to Africa for 16 years and has been named by Travel + Leisure magazine to its prestigious A-List for her expert knowledge in Africa, having traveled to Africa 21 times. Jeanie is as a fierce advocate for her clients, making sure every need is accommodated on diverse trips from honeymoon safaris to multi-generational family safaris in both East and Southern Africa as well as India. If there’s a way to make out-of-the-ordinary details work, Jeanie will find it. *P.S.S. My brother, Steve (who should join us on a safari with his awesome wife Ashleigh), provided editorial support, i.e., finding my numerous typos. And, of course, Ian provided invaluable content for this blog and is my favorite travel companion in life!